Your home’s windows serve many vital functions. They provide a view to the world outside of your home while also maintaining a barrier against harmful elements. They let in natural sunlight during the day, which can help bring down your energy costs. 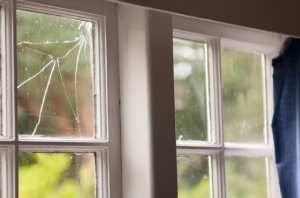 However, if your windows are old, worn, and hard to get open and closed, they may be doing more damage to your home than good. Replacing your windows with new, energy efficient windows from Krech Exteriors will return your windows to the helpful, aesthetically pleasing system they once were. Not only will new replacement windows reduce your heating and cooling costs, they can also eliminate 99.5% of UV light damage. UV light can cause any furniture that is placed near a window to fade long before it should. Our replacement windows eliminate nearly all UV light trying to penetrate into your home. The same goes for noise. Our windows will make your home quieter, more comfortable, and energy efficient. With a BBB rating of A+, you know that Krech Exteriors cares for our clients. Our window replacement Minneapolis service is one of the main reasons our clients think so highly of us. Thinking of selling? Few aspects of home improvement will increase your curb appeal and resale value more than window replacement. Minneapolis homeowners have turned to Krech Exteriors to improve the value of their homes for more than 20 years. So if you have aging, hard to maintain windows in your Minneapolis area home, give us a call. Our window replacement experts will come to your home for a FREE consultation and help your to choose the right windows for you. Just another reason that at Krech Exteriors, we’ve got you covered! FREE Estimate on Siding & Roofing, Minneapolis! The roofer Minneapolis and St. Paul turn to for all of their exterior improvement needs is Krech Exteriors. Specializing in roofing, siding, and window replacement, Minneapolis homeowners will be hard pressed to find higher quality exterior renovations. Give us a call at (651) 968-8888 and set up your FREE in-home consultation! Copyright 2019 © Krech Exteriors.